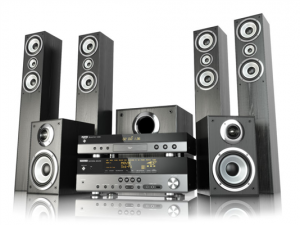 Most people tend to have two realizations when they start searching for the best home theater speakers. The first one is that it’s a purchase that you shouldn’t take lightly. The second is that there’s literally a very wide range of options when it comes to these products. There are so many great options and it will be a pity to miss out on an amazing product because you were too lazy to shop around and compare your choices. A home theater system can be a great investment as it can significantly improve the entertainment value of your home. The right pick can also last you a very long time, proving it to be a solid investment if you’re willing to spend money on the best products. How do you choose the best speakers, then? Below are a few things that you should keep in mind when taking on this task. Learn which pieces will let you achieve the results you have in mind. Be very particular about the specifications of the products you’ll get. You can’t always mix and match speaker brands. Consider the look of your interiors. As you might already know, there are different kinds of speakers that you can get for your home. They offer different results, so it’s crucial that you take note which one will suit your requirements and your space best. To take your TV viewing up a notch, get a good soundbar. Most TVs have crap audio, so this simple addition can change that. Don’t get large speakers for small, closed-in rooms. The sound can get muffled. Don’t get small speakers for a large, open space. The sound will seem localized. Use bookshelf speakers if you’re placing them inside a furniture. This way, you won’t lose bass sounds and still enjoy crisp and complete audio from your electronics. If the room creates an echo, it’s not best to put a sound system in it. If you have no other choice, though, take steps in reducing the echo. Adding soft materials that can absorb the sound and break up the echo is a good way to do this. Placing speakers on either side of the TV can cancel out the bass sound. You can remedy this by using a separate bass source or by opting for bookshelf speakers instead. This is where things get technical so additional research may prove to be necessary. A good speaker offers a lot more than just great sound. There are technical aspects to these electronics that will clue you in on how good it can perform. A few of the things that you should make sure to learn about when shopping for the best speakers are its power rating, ohm rating, and their sensitivity. A lot of manufacturers also note the sound characteristics of their speakers so pay attention to those as well. If you’re thinking of getting some speakers from one brand and then mixing it with another brand, pause and reconsider. While it’s possible to do this, you should know that they will sound different. Experts say that the only exception is the subwoofer. Not all popular speaker manufacturers make the best subwoofers. This is why it’s perfectly fine if you want to opt for a different one to complete your home’s audio setup. While there are lots of nice-looking speakers in the market today, a lot of the top-performing ones will clash with the look of your interiors. This can be a problem for a lot of people since most of them put a tremendous amount of effort into making their home look amazing. In such cases, you can always opt for smaller speakers. They can blend into your interiors with great ease but you might need to take additional measures to achieve your desired results. Don’t let buying the best home theater speakers intimidate you, though. This task may seem too challenging for the uninitiated but if you pull it off properly, all the efforts will prove to be worth it.o add more pieces if you want to cover more floor area.